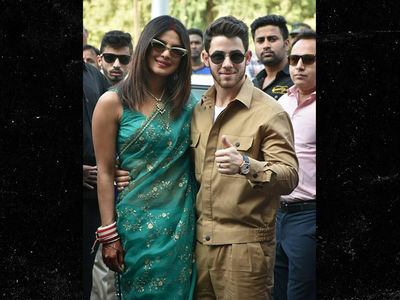 Nick & Priyanka One Last Wedding Hurrah (Maybe) ... Shout-Out to Bollywood!!! 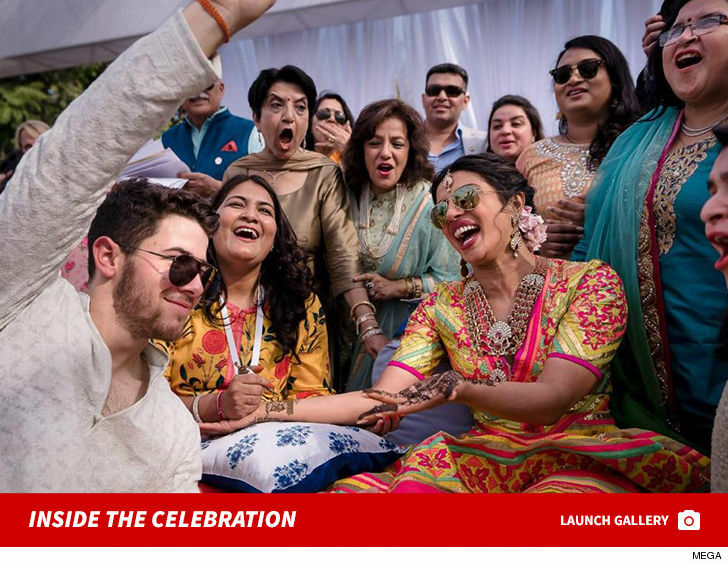 Nick Jonas and Priyanka Chopra are giving Vince Vaughn and Owen Wilson a run for their money as wedding aficionados, 'cause they've got a 3rd reception -- yes, it's STILL going -- for Bollywood. 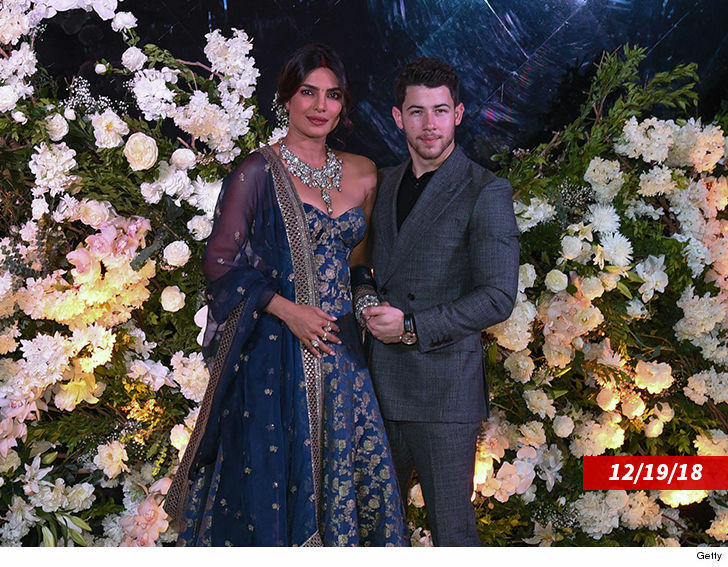 Ya gotta believe Nick and Priyanka are tired of striking these poses, but Thursday they gave it one more go with a reception for Priy's Bollywood industry friends. The nuptials began more than 2 weeks ago with TWO weekend ceremonies ... and at least 2 pre and post receptions. 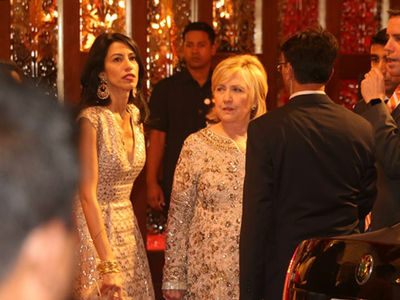 They also had a Wednesday bash for the media in India. As if they haven't gotten enough attention ... they gave their fans and the media even more to talk about. 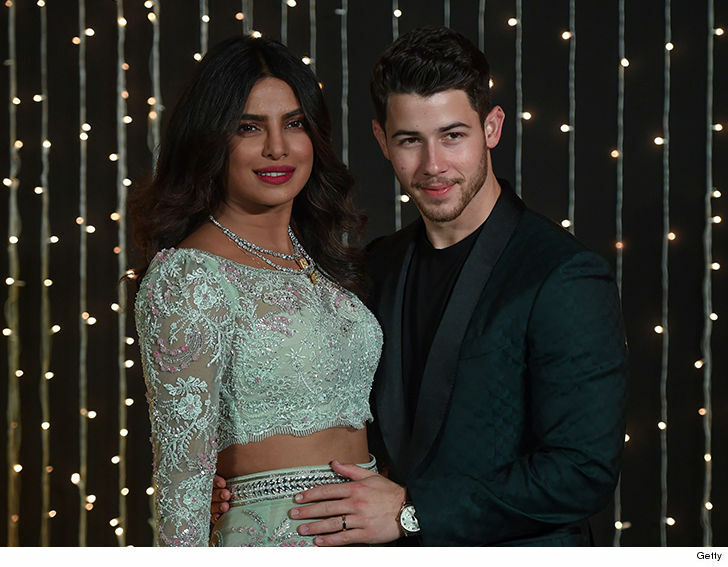 Yes, everyone's taken note of Nick's hand over his bride's belly. We are NOT saying she's preggo, but we ARE saying ... they know how to start a buzz. We also know for sure ... there will soon be another round of party pics like these once Thursday's festivities come to an end. We're not even gonna make a guess as to whether this is THE final stop on their wedding train. Allegedly it is, but ya just never know with these 2. This is one approach to keeping things fresh -- forever newlyweds!